Tile roofs have an irresistible rustic appeal to them and their availability in various colours make them ideal for matching your property's overall colour scheme. 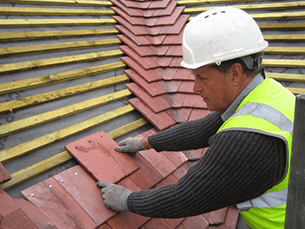 The many other benefits of tile roofing depend on the type of material being used. Shown below are a few tile types that we can supply and install.